One hit. 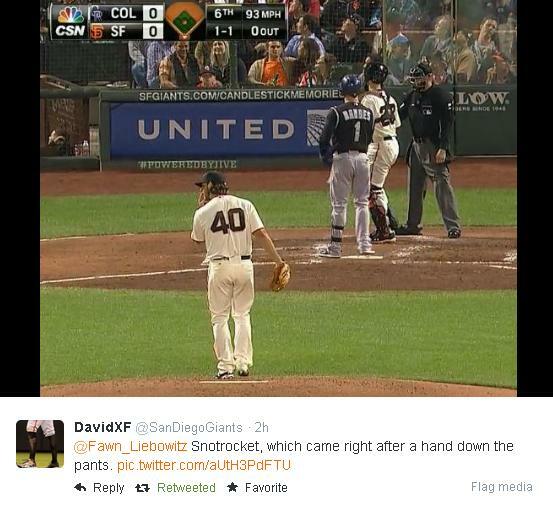 One lousy double separated Madison Bumgarner from perfection. Oh well. 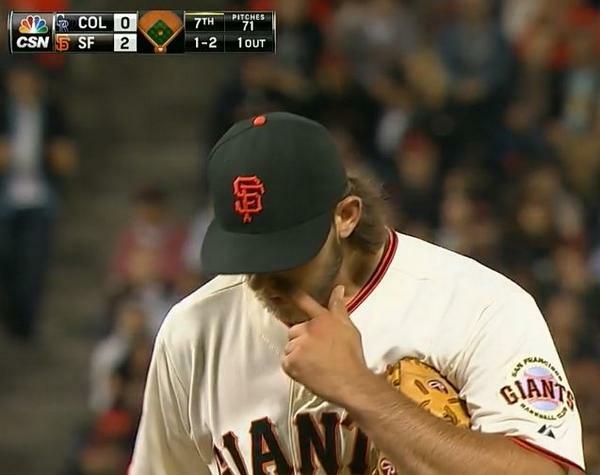 It’s all right Bumgarner, you’re still perfect in Giants fans’ eyes. W, 9.0 IP, 1 H, 0 BB, 0 R, 0 ER, 16 SNR (snotrockets): 3 vs. lefties, 7 vs. righties, 6 other. 3 double SNR. 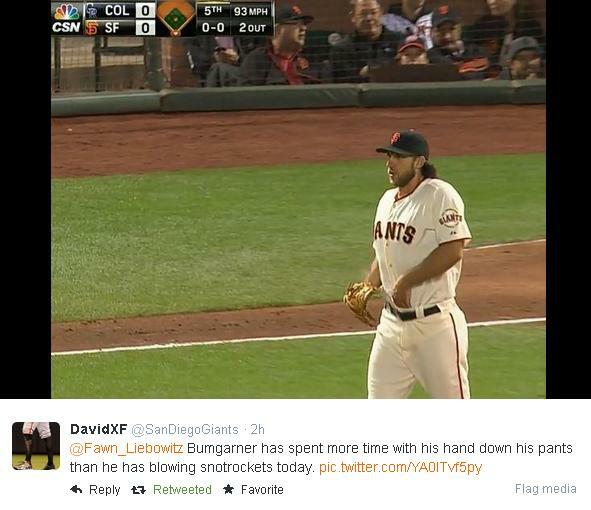 Madison Bumgarner’s most prolific innings were the 1st and 9th in which he blew 3 snotrockets per inning. 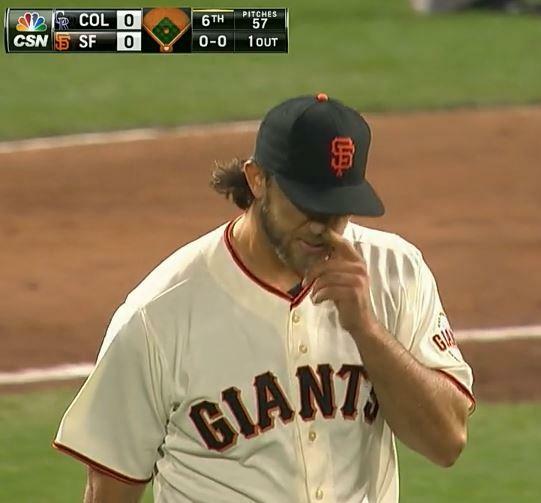 Bumgarner now with 64 snotrockets vs. the Rockies and 350 snotrockets overall in 2014. 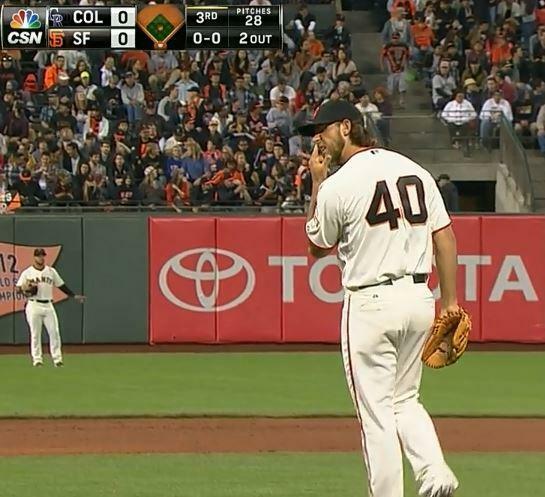 Attaboy and well done, Madison Bumgarner. 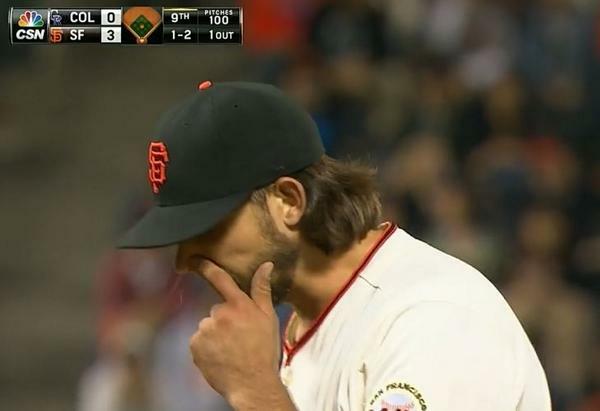 Bumgarner’s next start should be this Sunday, August 31, 2014 at home vs. the Milwaukee Brewers. 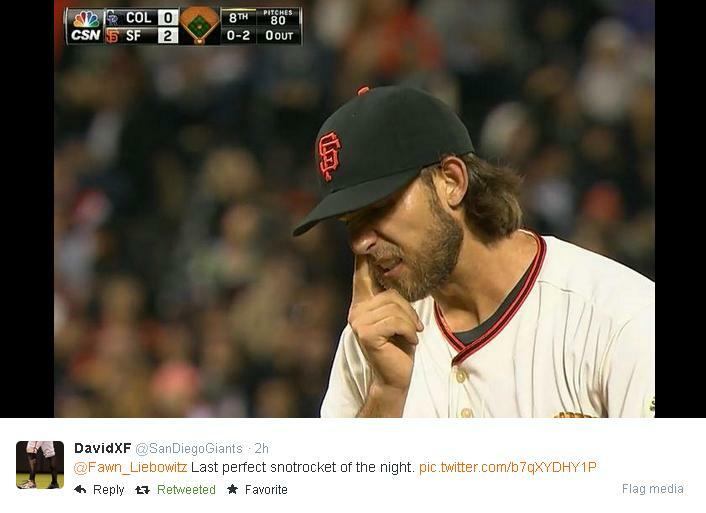 See you here or on Twitter (I live tweet the Bumgarner snotrockets) for all the exciting snotrocket action.